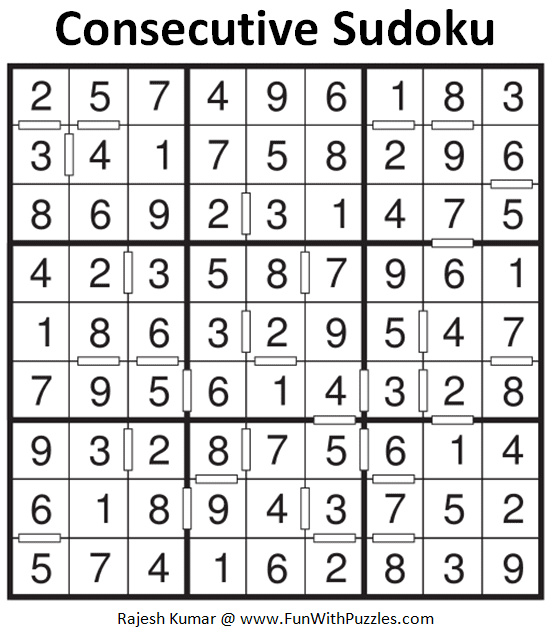 Linked Classic Sudoku is nothing but two Classic Sudoku puzzle linked together with the given cells. 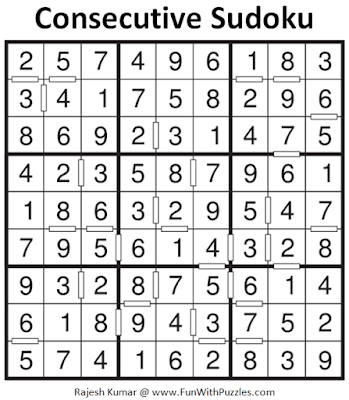 In this Sudoku type there are some cells which are marked and it should contain the same digits for both the Sudoku puzzles. This type of Sudoku is very much fun to solve as one has to keep changing from one Sudoku to another Sudoku. This Sudoku I prepared for Sudoku Mahabharat 2016 Twisted Classics round and this Sudoku we selected to be part of this championship. This Linked Sudoku puzzle I am posting in Mini Sudoku Series as 75th Sudoku in this series. Here is the solution of Consecutive Sudoku Puzzle Titled "Consecutive Sudoku Puzzle (Fun With Sudoku Series #264)"